"Cinnamon Toast Crunch Light." Or "Diet Cinnamon Toast Crunch." Take your pick. That's what this is. I mean, sure, there's still a good bit of sugar and calories here—in fact, calories per serving is identical in both cereals. 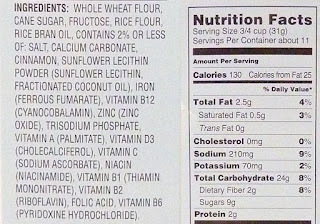 The TJ's version will save you from about a half a gram of fat, but it's basically the same concept as the classic name-brand cereal from General Mills, except Trader Joe's specifies "cane sugar" rather than the slightly more vague "sugar" in GM's version. 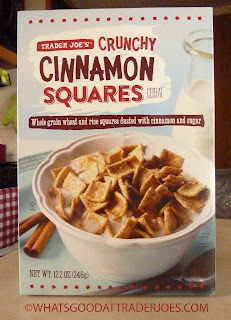 Taste-wise, though, this offering doesn't offer quite as much flavor as actual Cinnamon Toast Crunch. I was expecting a much greater difference in the ingredients and nutrition information just based on the taste of this product. It's not a bad flavor. It's just not as pleasant as the classic cereal in the opinions of both Sonia and I. Like classic CTC, both wheat and rice flour are used in the flakes, and the texture is pretty similar as a result, although I feel like TJ's version might be ever-so-slightly less dense. Sonia noted that the particles of cinnamon detach from the flakes and distribute themselves throughout the milk and around the perimeter of the bowl. This might have something to do with the perceived flavor discrepancy. Does General Mills know the secret to stably fusing cinnamon particles to cereal flakes? Has Trader Joe's research and development team simply missed this fundamental principle of cinnamon particle physics? 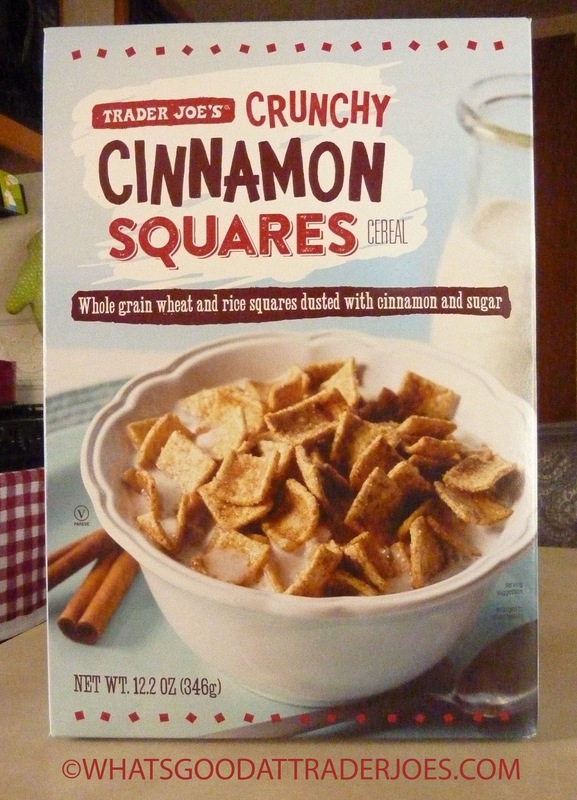 Is this Trader Joe's cereal just the General Mills cereal in disguise, and all perceived differences and discrepancies are simply in our heads? Are our taste buds just messed up? 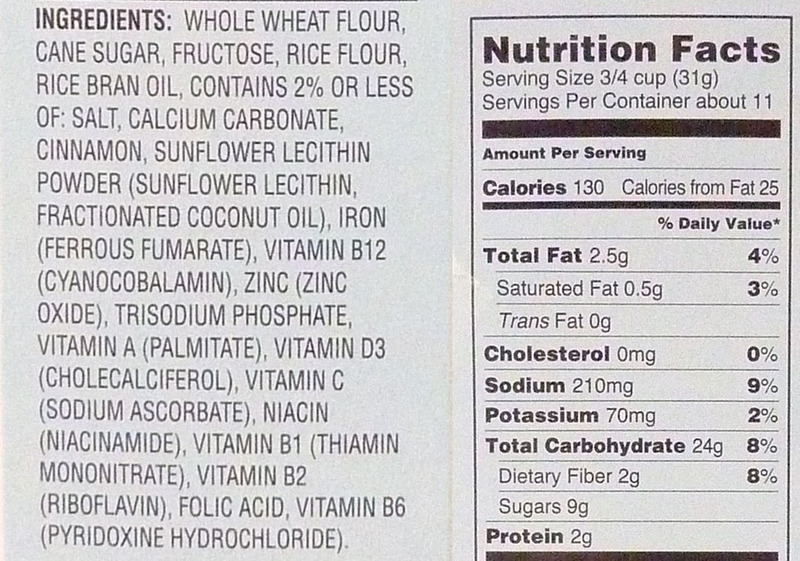 Are we being too critical of this cereal? Are you being too critical of our review of this cereal? The answers to these questions may never surface on this blog, but one thing's for sure—both this cereal and classic Cinnamon Toast Crunch pair up well with a nice ruby port. Wow you're right, it does have the same nutritional value as the original CTC. I thought this would have less sugar because it's not as sweet, but they both have 9g per 3/4 cup.